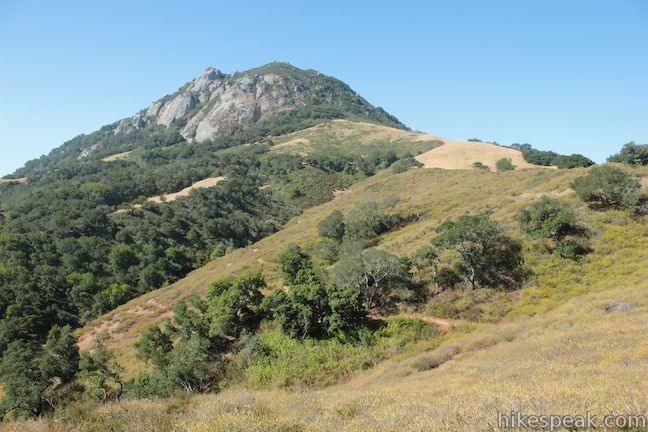 Bishop Peak rises high over San Luis Obispo and there is nothing it overshadows more than Felsman Loop Trail. 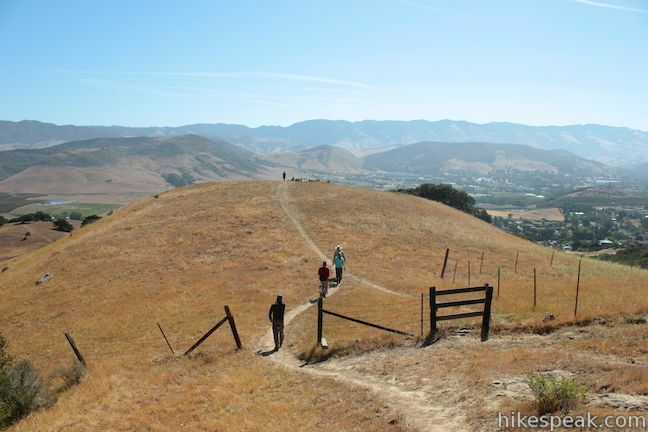 This 2.7-mile loop in Bishop Peak Natural Reserve crosses oak, sagebrush, and grass-covered slopes around the base of Bishop Peak, providing excellent views of that notable rocky summit and its San Luis Obispo surroundings. 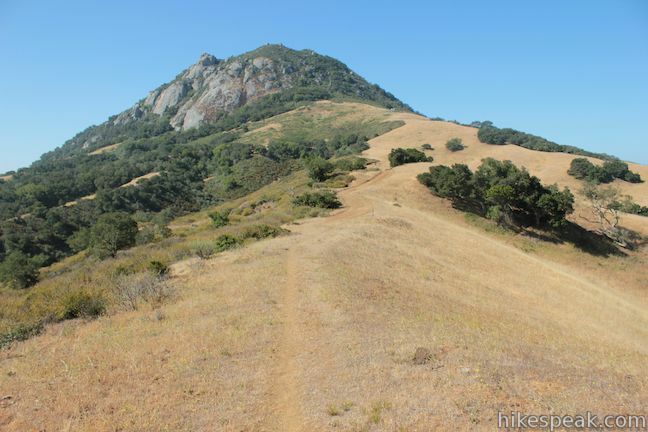 Felsman Loop Trail can be combined with Bishop Peak Trail for a 5.75-mile hike, but Felsman also stands on its own, stepping out from the shadows of Bishop Peak. 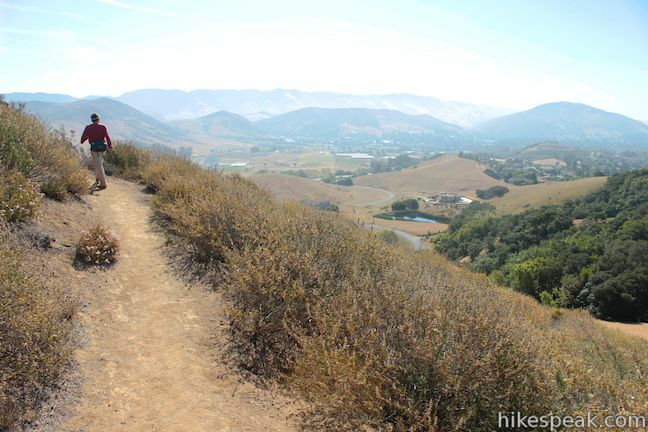 Stat hiking up a wide trail off Patricia Drive in San Luis Obispo. 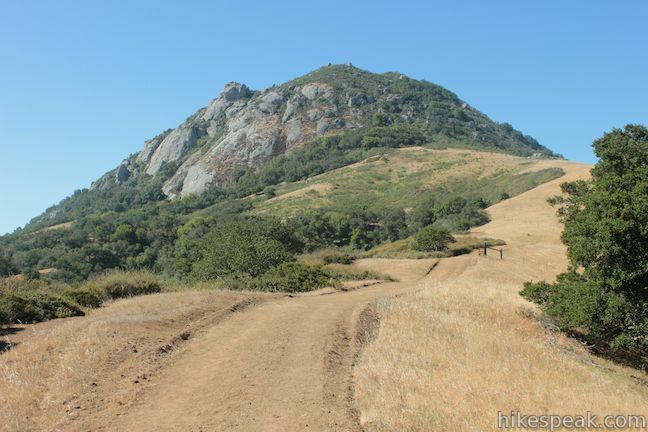 Enter Bishop Peak Natural Reserve and pass through a cattle gate a tenth of a mile from the start. 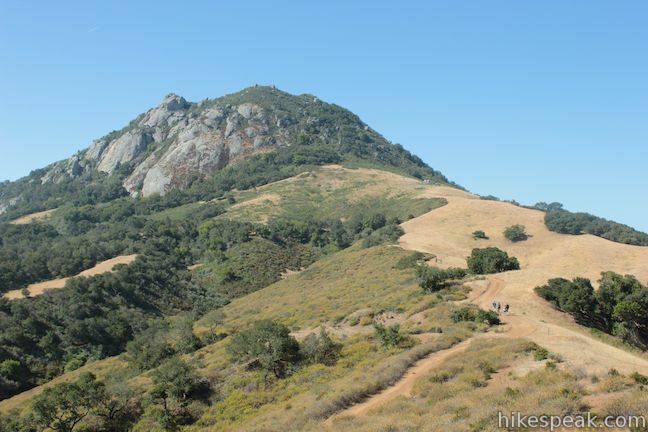 Hike uphill with head-on views of Bishop Peak’s east face to a split in Felsman Loop Trail, just under a quarter mile from the start. The loop begins here. 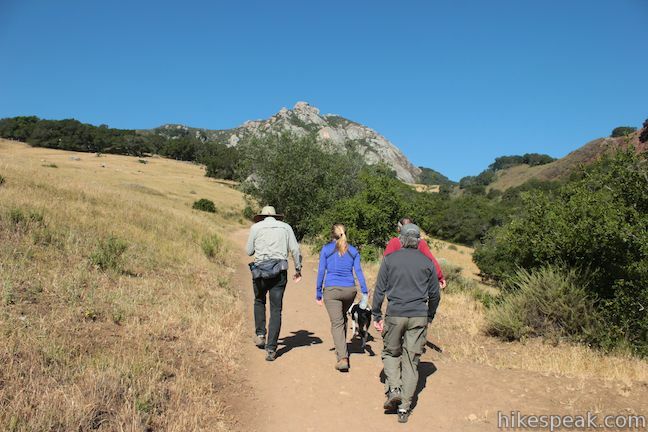 Stay to the right to hike Felsman Loop Trail in a counter-clockwise direction that will maximize your views of Bishop Peak. 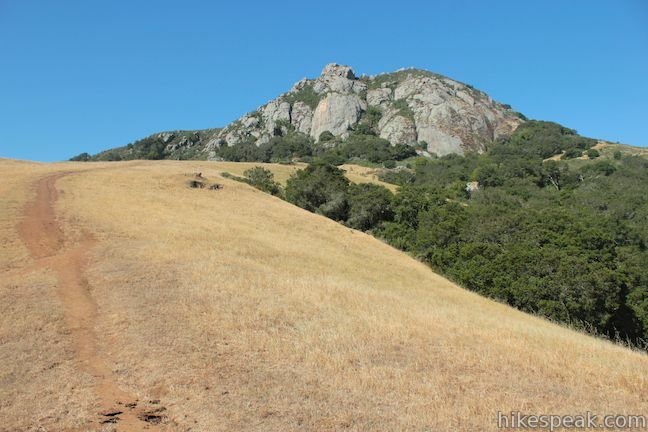 However, if you want to hike to the summit of Bishop Peak before hiking the rest of Felsman Loop Trail, you should turn left here. 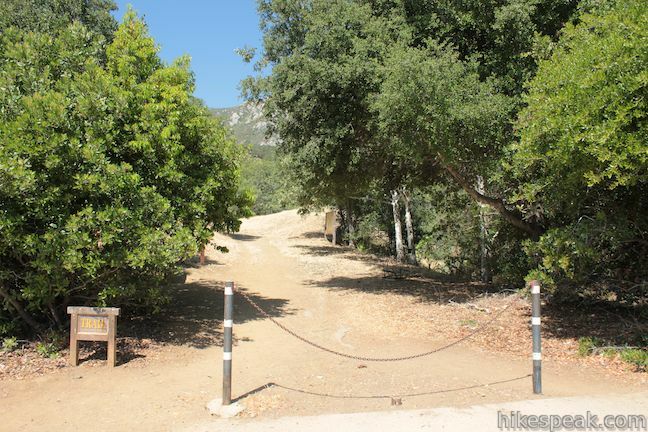 Proceeding to the right, Felsman Loop Trail bends north and ascends toward a holding tank. Surprisingly, the trail is temporarily paved over this stretch. 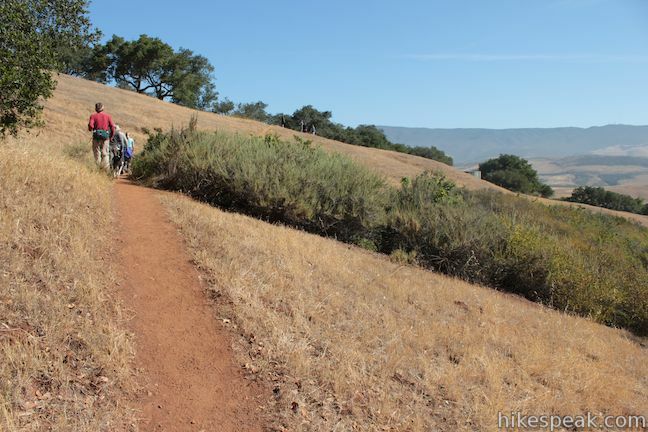 A more pleasant surprise is the striking red-violet soil on the left side of the trail. Walk around the holding tank, a tenth of a mile past the trail split. 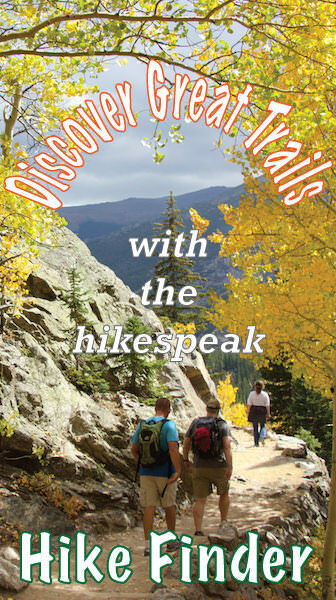 The pavement ends here and you will pick up a single-track trail heading northwest. There are dirt trails for the duration. 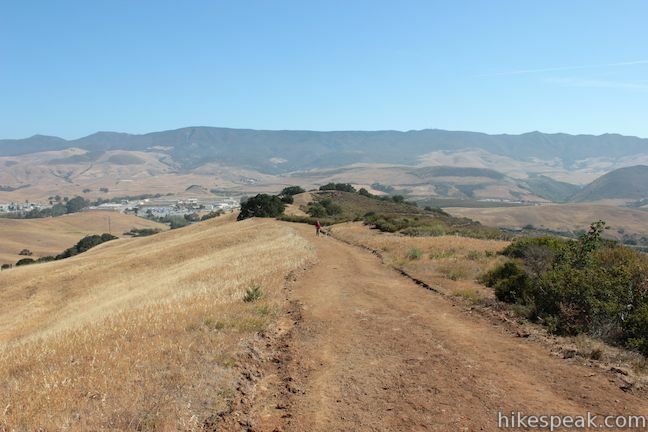 At 0.2 miles from the holding tank, continue straight past a connector trail that ascends to the left, meeting up with a higher point on Felsman Loop Trail. 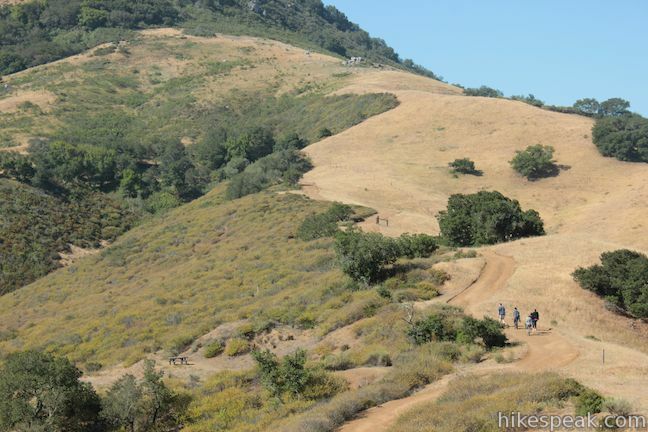 Ahead the trail passes through a grove of coast live oaks, crossing ridges and dipping across draws in the pleated skirt of Bishop Peak. 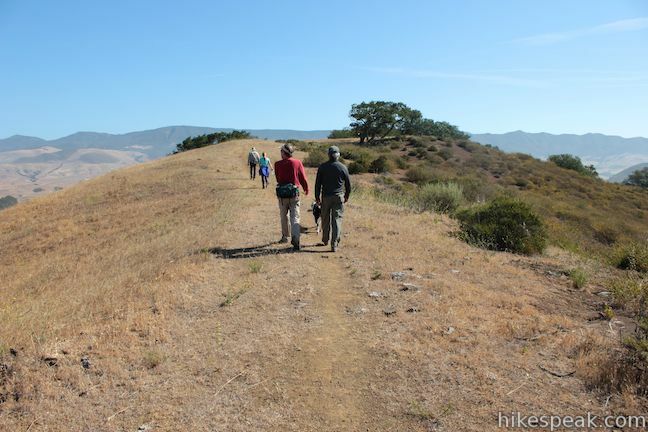 After crossing a seasonal creek, you will leave the oaks and ascend a slope covered in grasses and sagebrush to a T-junction with a wide dirt road. This is the northeast corner of the loop. 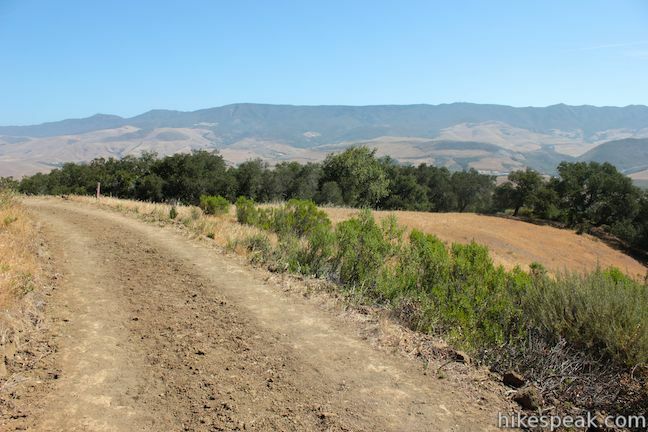 Turn left up the dirt road, 1.2 miles from the start, and continue up Felsman Loop Trail (Bridle Ridge Trail descends to the right toward Highway One). 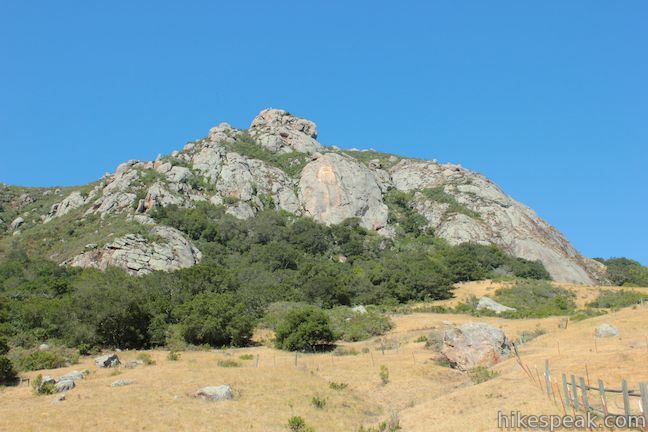 After another a tenth of a mile, you will reach the top of the dominant ridgeline running north Bishop Peak. 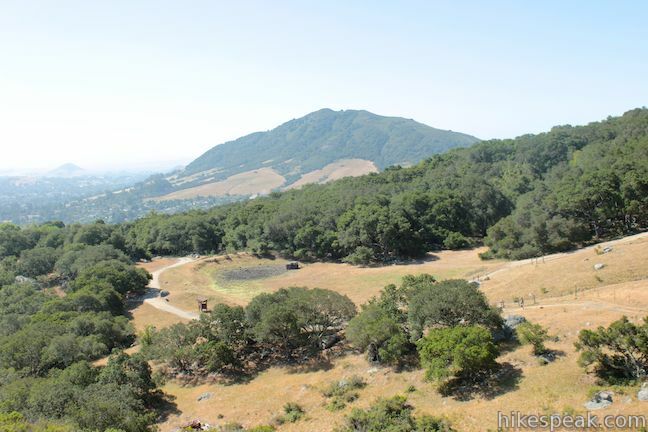 Atop this ridge, you will find the hikes most panoramic views. 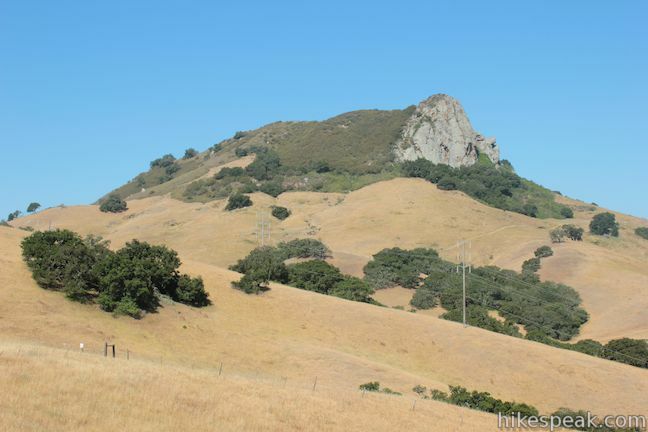 In addition to a postcard-worthy perspective of Bishop Peak, you will discover new views to the west toward other mountains in the chain of Morros that dominate San Luis Obispo County. 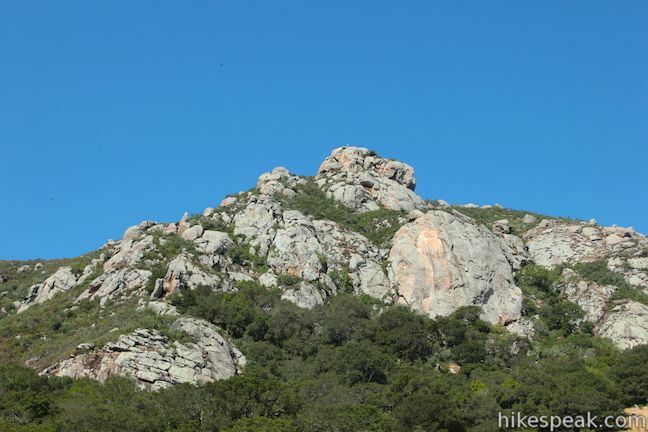 Chumash Peak is the closest summit, with a sheer rocky face just to the west. 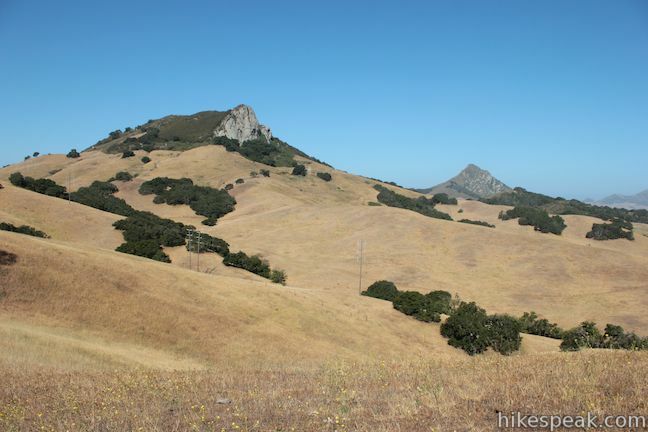 Cerro Romauldo comes next and Hollister Peak can be seen in the distance. 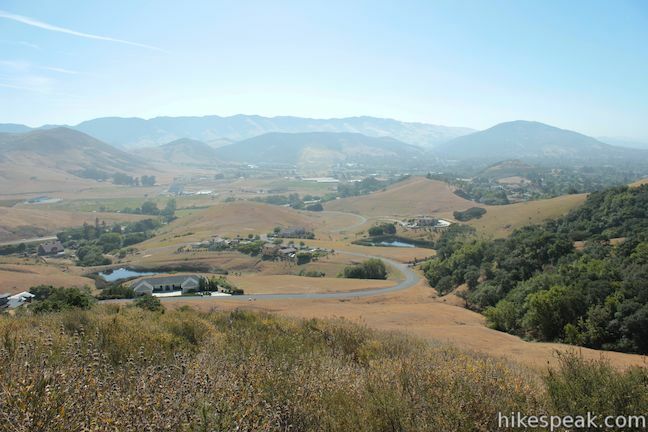 To the east, are views of Cal Poly near downtown San Luis Obispo and the Santa Lucia Mountains rise to the north. 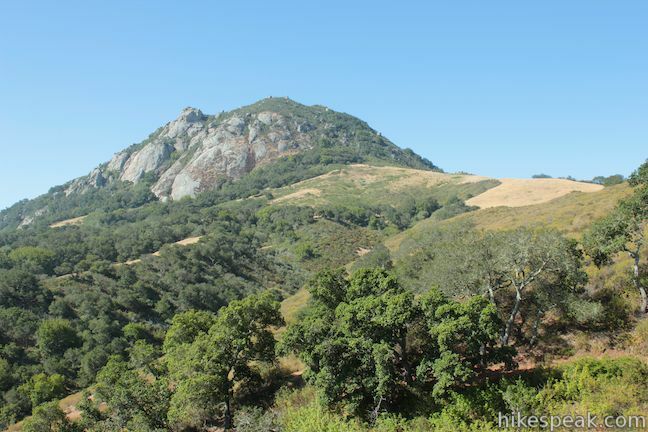 When you reach the ridge, Felsman Loop Trail will turn to the left and circle south toward Bishop Peak. Before continuing that way, you can take an optional extension on a path out to a rise at the north end of the ridge. 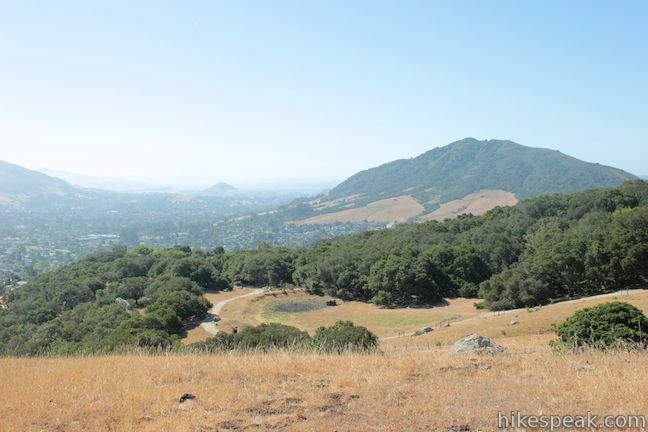 It is less than a tenth of a mile out to overlook at the end of the ridge (marked with an elevation of 766 feet on topographical maps). 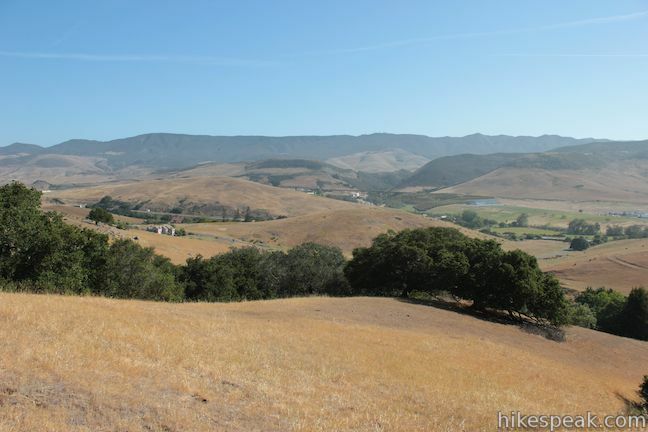 If you venture out to the end of the ridge, you’ll find a nice place to take a secluded break and enjoy sweeping views. 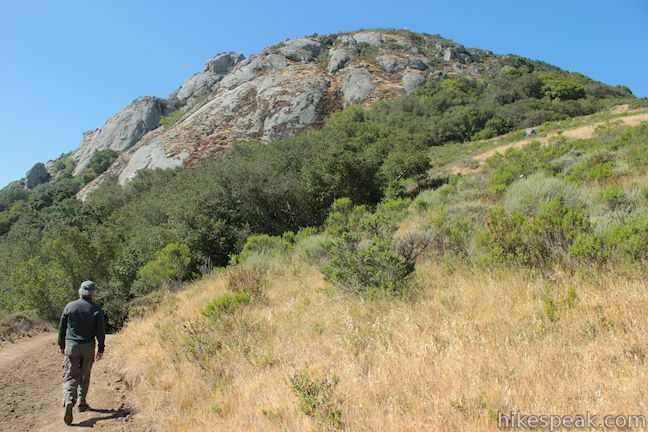 Continuing south on Felsman Loop Trail, you will ascend the ridge toward the rocky crown of Bishop Peak. 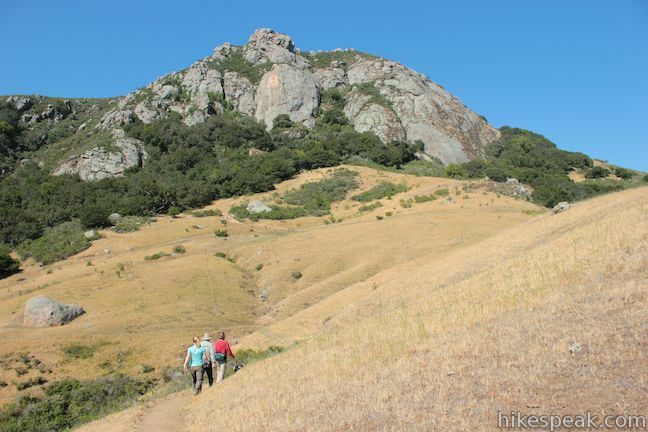 You are hiking straight toward the jagged 1,559-foot summit of Bishop Peak, so the views are grand. 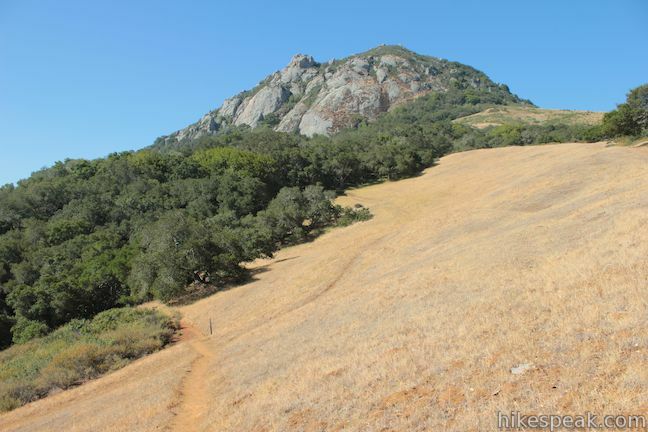 After a third of a mile, the trail swings to the left, leveling out beneath Bishop Peak before descending to a junction. Bear left down this single track, 1.9 miles from the start, to continue on Felsman Loop Trail. 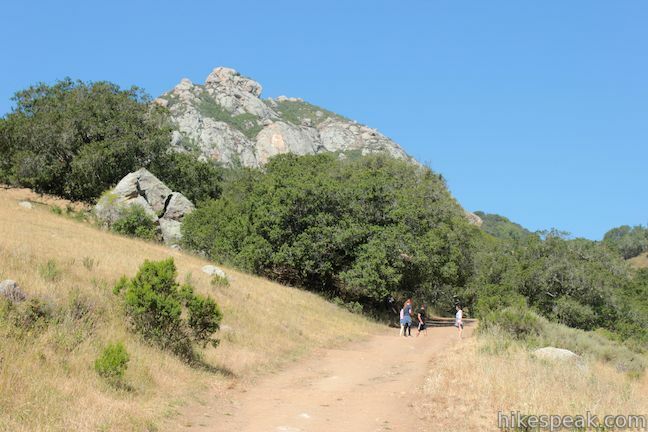 The trail to the right connects Bishop Peak Trail (and if you happened to turn right here, you could actually get back to Felsman Loop Trail on another connecting trail). 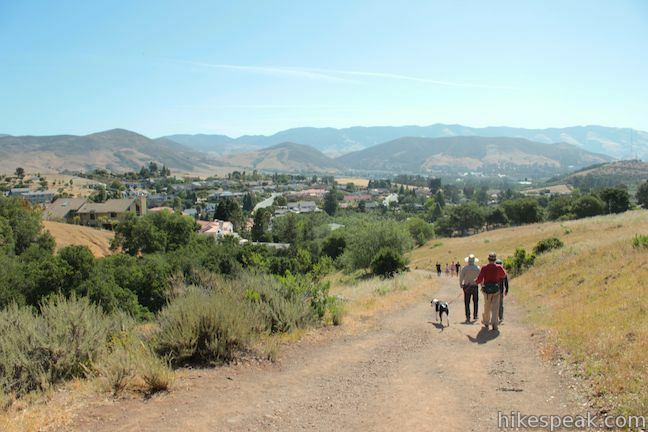 Descending to the left from the junction, you will enjoy views east toward Cerro San Luis (the Morro nearest to Bishop Peak) and downtown San Luis Obispo. Felsman Loop Trail crosses a bench on a ridge and descends to another junction (meeting the connector trail that you passed near the start of Felsman Loop Trail). Turn right down the worn trail, which wraps around a draw in the mountainside and comes to another junction with a dirt road, 2.15 miles from the start. 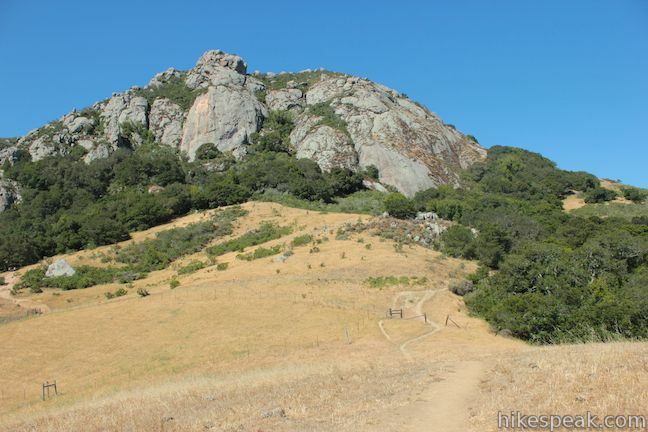 If you feel energetic and want to hike up Bishop Peak Trail (it’s about 1.5 miles to the summit), turn right. Otherwise, turn left when you reach the road and walk east along a cattle pond to one more junction. 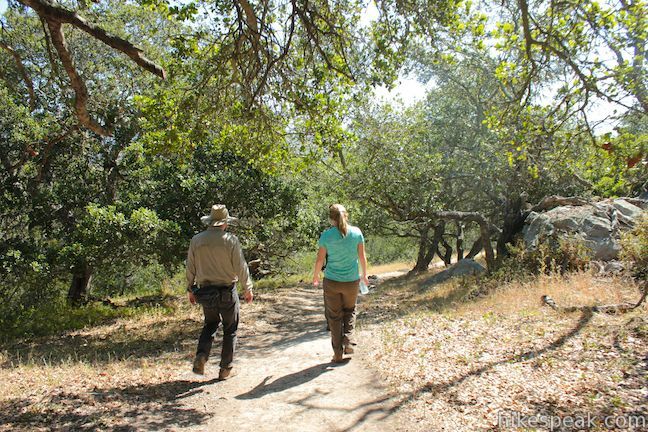 Turn left down through an oak grove to finish Felsman Loop Trail, following switchbacks down a grassy slope to close out the loop. 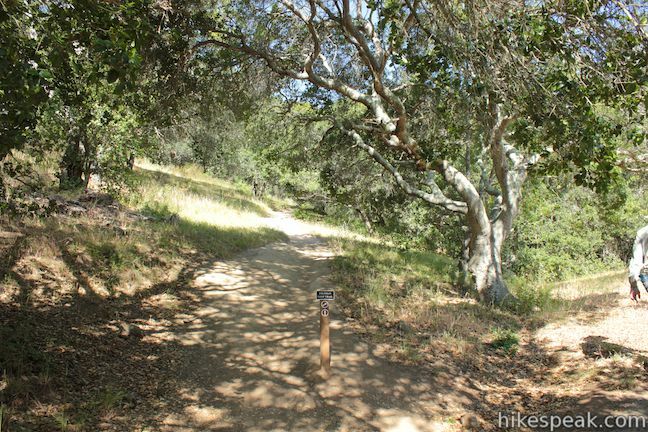 Turn right and retrace your steps to the trailhead. 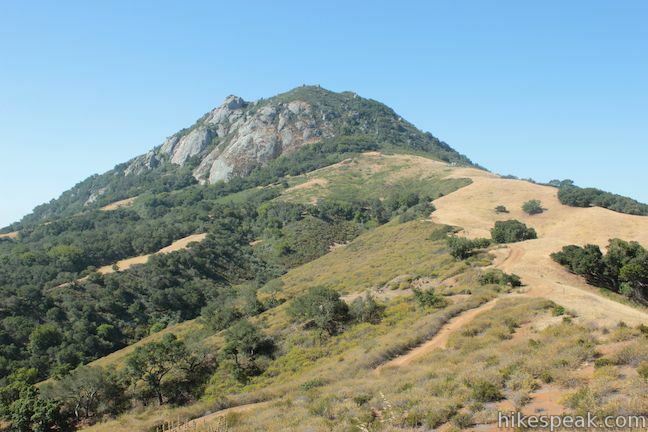 Bishop Peak Natural Reserve is open from dawn till dusk. Dogs are allowed on leash, but mountain bikes are prohibited. 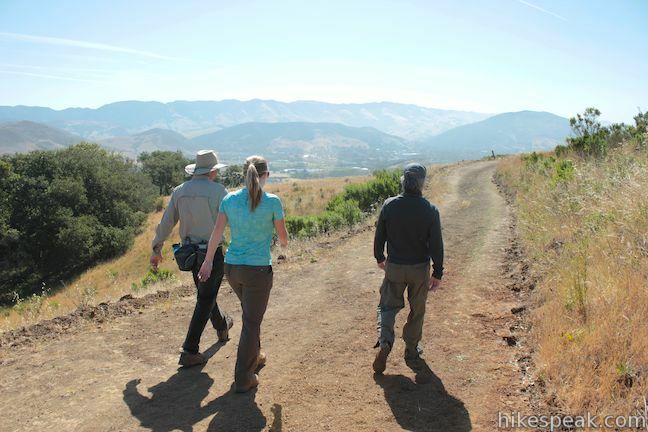 No fee or permit is required to hike Felsman Loop Trail, so get out and enjoy! 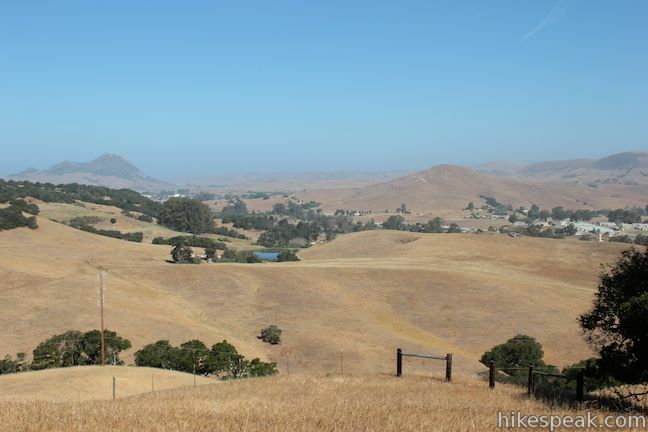 To get to the trailhead: From Highway 101 in San Luis Obispo, take exit 203 B to Highway 1 North. 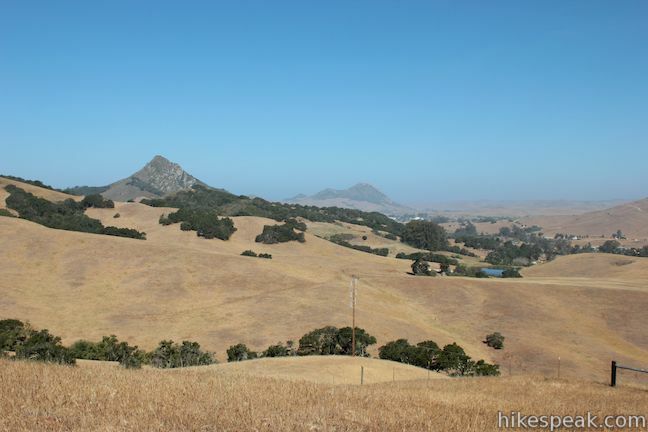 Drive north for one mile toward Morro Bay and turn left onto Highland Drive. Drive half a mile and turn right onto Patricia Drive. Go another half mile, where you will spot the trailhead on the left. Roadside parking is available. These photos were taken in May of 2013. Click to enlarge. 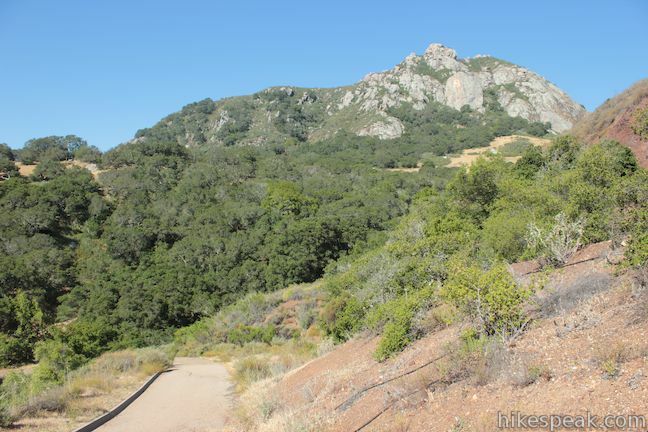 This 3.7-mile hike goes up Stenner Creek Canyon past a small waterfall and views of Bishop Peak to a collection of freeride bike trails called The Eucs. 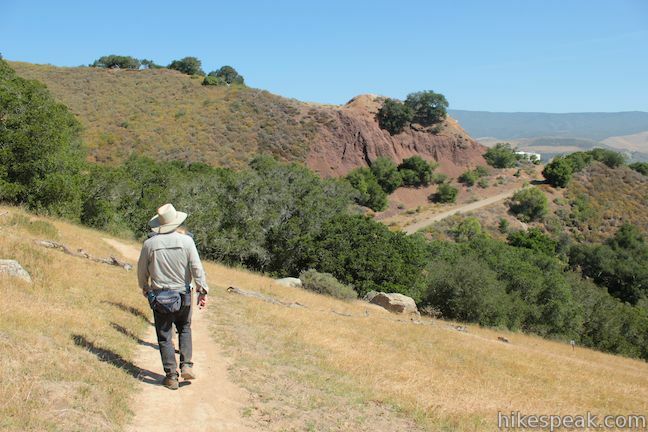 This 2.2-mile loop visits a historical lemon grove on the eastern slopes of Cerro San Luis. 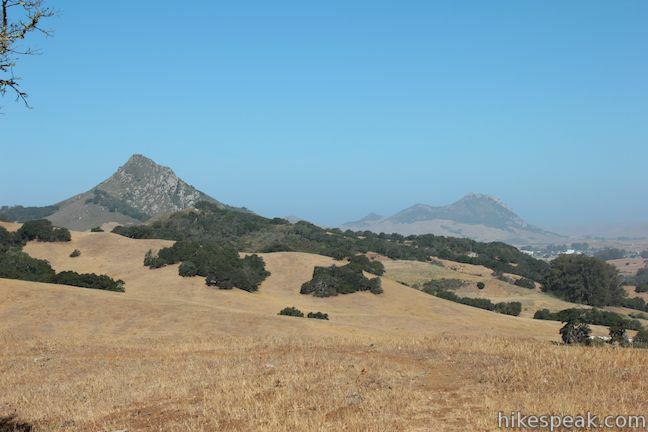 This 3.15-mile hike in the Irish Hills Natural Reserve delivers panoramic views over Los Osos Valley and the full chain of Morros. 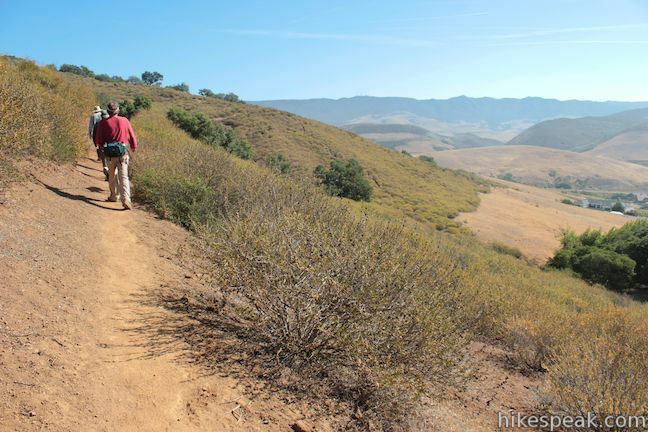 This 3-mile loop explores a canyon on the east side of the Irish Hills, ascending 500 feet to a nice view over Laguna Lake, Cerro San Luis, and Bishop Peak. 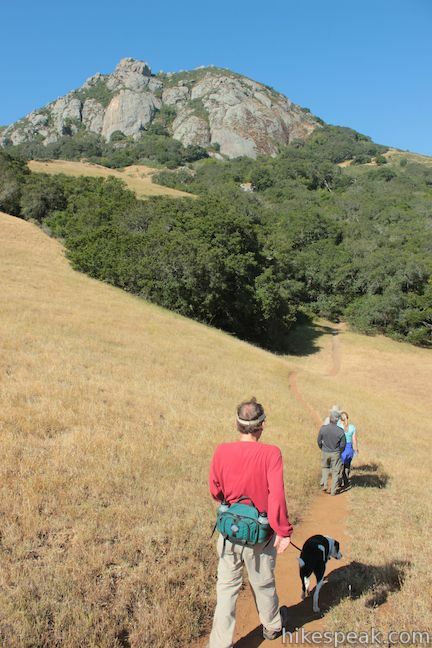 This 5.35-mile hike ascends 1,350 feet past a waterfall and a collection of junk sculptures to a treeless summit overlooking San Luis Obispo. 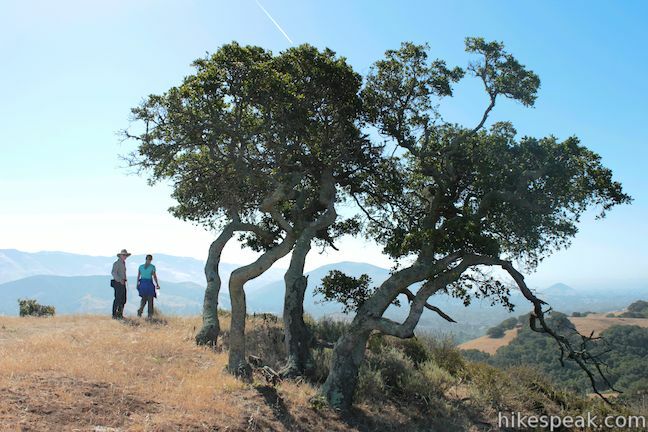 This 6-mile round trip hike crosses a ridge in the Santa Lucia Mountains with panoramic views over San Luis Obispo, ascending to a grove of Sargent cypress in a botanical area in Los Padres National Forest. 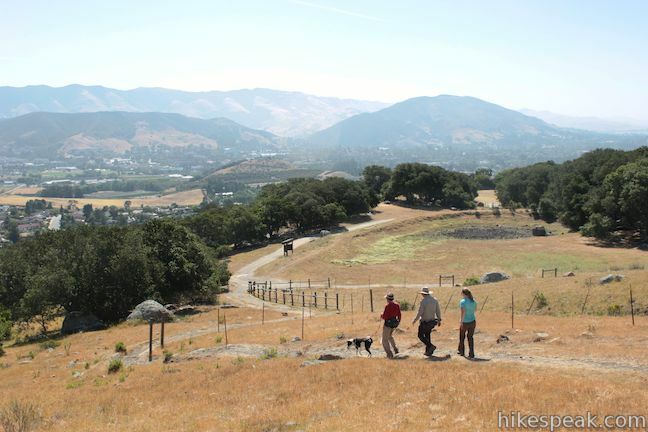 Completed this hike on a rainy day in March – beautiful during the spring when all of the surrounding grass is green and wildflowers are in full bloom. 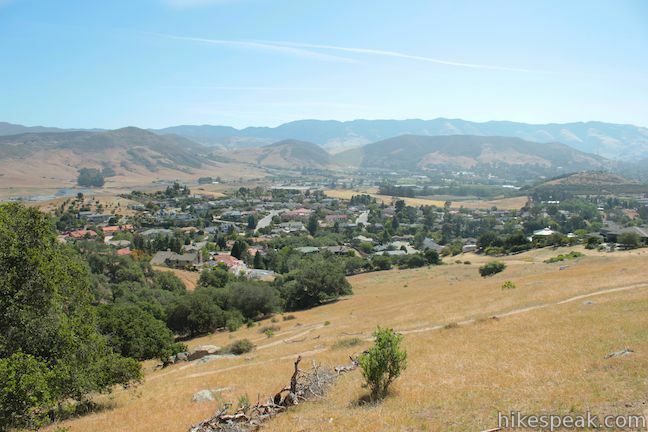 Great vistas of Cal Poly and San Luis Obispo. 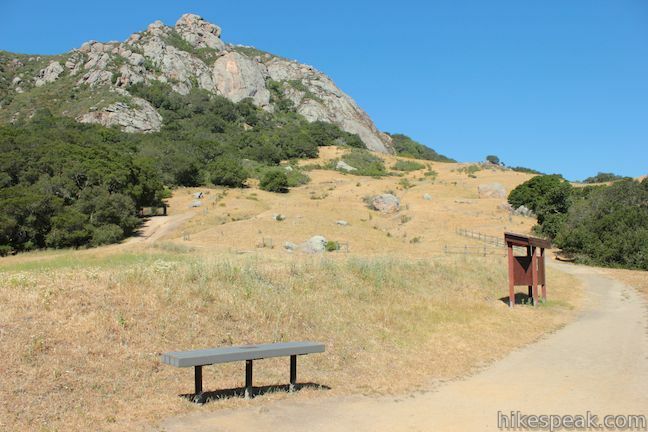 Not strenuous – an ideal path for trail joggers. It has been stated that Cerro Romauldo was closed by the military in 2004. Has this closure been lifted? Who would you speak to regarding a permit to climb this peak?